DAVID LE/Staff photo. 5/6/15. 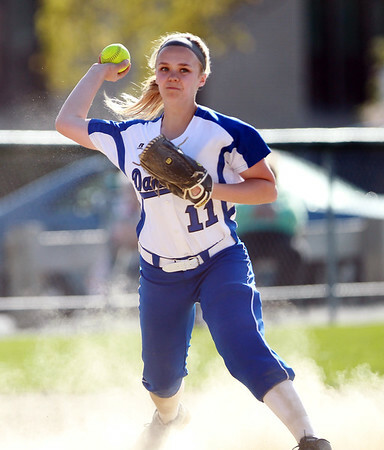 Danvers junior captain Hannah Llewellyn (11) fires to first to retire a Swampscott runner.